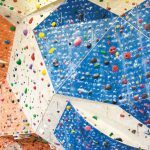 Brooklyn Boulders, one of the nation’s leading indoor climbing facilities, planted their roots in the Gowanus neighborhood of Brooklyn back in 2009. With a massive plan to rock the climbing world, they set out with a fantastic space, a vision, and their own grassroots construction methods and materials. What they didn’t know right away, was how quickly their brand would expand to facilities in Chicago, Boston and into the next borough north, Queens. 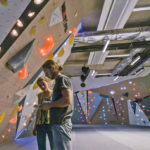 Their first facility that garnered so much attention, was built to suit the times as proving a business model around indoor rock climbing in New York City at the time was uncharted territory for the BKB crew. They used very traditional steel tube and plywood material construction, along with surface treatments that could easily be acquired by your typical home-construction enthusiast. During the process, the designs were often created on-the-fly with construction starting before concepts were fully completed. Again, this was the very first facility of its kind in Brooklyn, and the goals were to get up and operational quickly on a grassroots budget. The BKB founders didn’t have the luxury of committing to a large-scale climbing wall builder for designs and manufacturing. Subsequent to the unparalleled success of the BKB Gowanus location, the owners knew they had something bigger on their hands than simply one amazing climbing facility: They had built a proper indoor climbing brand that could expand to bring together urban climbing enthusiasts in other major metropolitan areas. 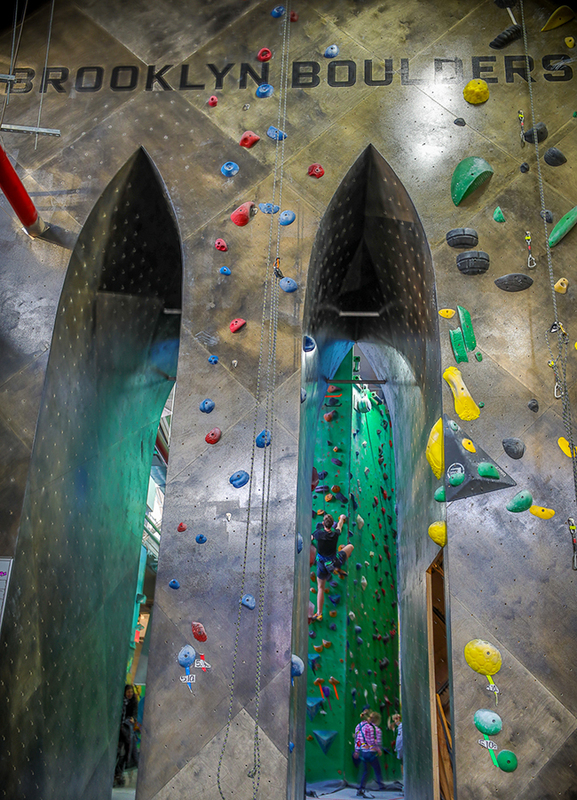 So when the time came to expand to other Top 10 DMAs, the team at BKB already had their model for success, but now they had the luxury of creating their own modern, design-driven dream facility using the latest in climbing wall construction and aesthetics from Vertical Solutions. 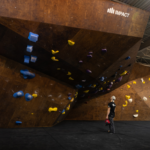 Brooklyn Boulders and Vertical Solutions teamed up to expand the BKB brand to three additional facilities in Boston, Chicago, and another in NYC: Long Island City in Queens. Seven years after their initial opening in Brooklyn, they had four stunning facilities on their hands, and one major problem: their owner-built walls at the Gowanus location were tired and out-of-date. They served their purpose for many years but they no longer aligned with the BKB image of top-tier quality climbing, unique experiences focused on outdoor enthusiasts, and seamless branding from one facility to the next. Additional complexities were introduced due to more than expected maintenance as a consequence of age and construction method. So the BKB team once again pushed for a new step forward: Major reconstruction on a significant percentage of their climbing walls. In cities like NYC, space is not only hard to come by, but also at a major premium. The team wouldn’t consider closing their entire facility down for these much needed renovations, coming into the busiest time of year: the winter holiday season. Closing their doors to their large membership for weeks on end was simply not an option. 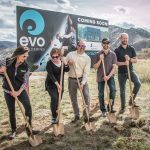 They needed a solution that was equally stunning as their other facilities, adaptable to open conditions, would last much longer than their previous owner-built solutions, and most importantly: they needed it fast. Time is of the essence. As a business operating in 3 major markets, they were targeting some major new goals for 2017. Those goals, couldn’t afford a “pause” on the profitability of their facility in Brooklyn. They had to hit the ground running absolutely as soon as possible to meet those goals, and it demanded an accelerated completion date with work done in a compressed timeframe. Design, engineering, demolition of the owner-built walls, construction and installation; all in 9 weeks from project launch. To complicate the whole project, the work all had to be done over Thanksgiving week, Christmas week, and New Years week, while the facility was open, in the logistically-difficult construction environment of New York City. Vertical Solutions was selected as the only company that could meet or exceed all of the identified objectives. The design team only had 3 weeks to design and fully engineer 5000 square feet of rope climbing walls; a task usually coming in over twice the allocated timeframe (7 weeks typically). In order to accomplish this, considerations for the wall design style had to be made to match the project. Vertical Solutions relied on their extremely agile, accurate, and adaptable construction method of choice: The new MLM wall construction process utilizing wood CNC machine production panels. This method, which expedites pre-fabrication at HQ in Salt Lake City, delivers a product guaranteed to fit onsite with minimal re-work. The talented design team took to task, and crushed the design process with geometric-shaped panels seamlessly joined to create modern and stunningly-aesthetic wall surfaces. Even harder to believe is the fact that this project wasn’t a clean sheet build from the ground up. The Vertical Solutions team was required to demolition the old owner-built wall square footage immediately to keep on schedule, and work within the massively tight constraints and logistics of New York City. After pictures: Head over to the VS Gallery Page for more images of the full gym and renovations. The Vertical Solutions team stepped up to tackle this unbelievably large project for the allocated timeframe. From conception, the existing owner-built walls were demoed, new MLM geometric walls were designed, engineered, constructed, shipped, and installed in a timeframe never before met in the busiest metropolitan area in the US. 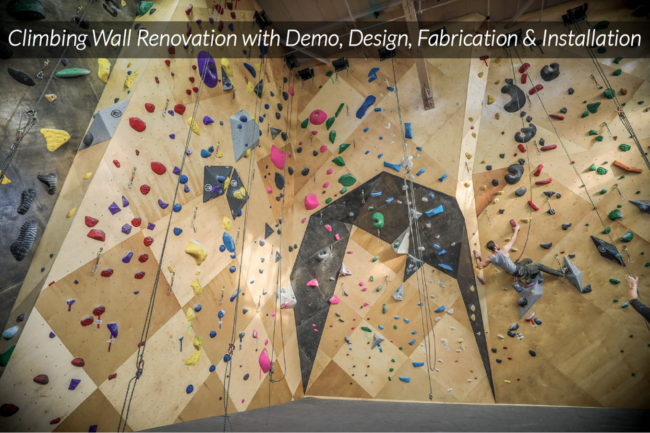 This case study has set a new standard for accelerated and impactful climbing wall construction. 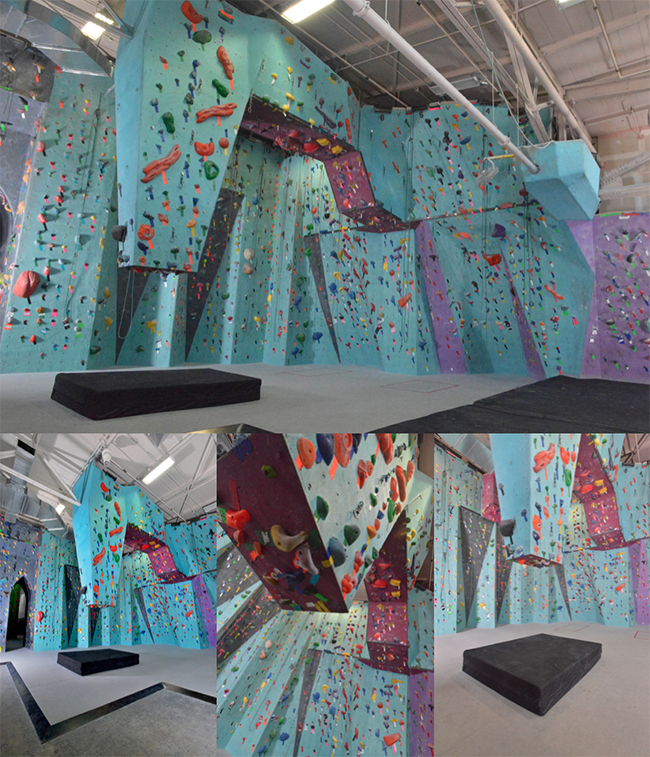 This proof of concept executed on behalf of Brooklyn Boulders, illustrates that when a climbing facility needs any of those deliverables, or even all of them at once, Vertical Solutions has the team, expertise, tools and ambition necessary to meet them. “As usual, we put some very tight and non-negotiable constrains on the project scope that we gave to Vertical Solutions. Additionally, this recent renovation project was by far the most accelerated we’ve ever proposed. The fact that all of this came together and was installed over the holidays without closing our facility was nothing short of monumental. This is New York; nothing closes! I don’t want to overlook the importance of this project’s design either. We’d¬¬ built a brand that requires cohesion amongst all the facilities and we couldn’t accept anything that wasn’t spectacular and immediately impressive, yet tailored to the Brooklyn audience. The design team worked with us quickly to get us something fresh and new, with durability being a major priority. 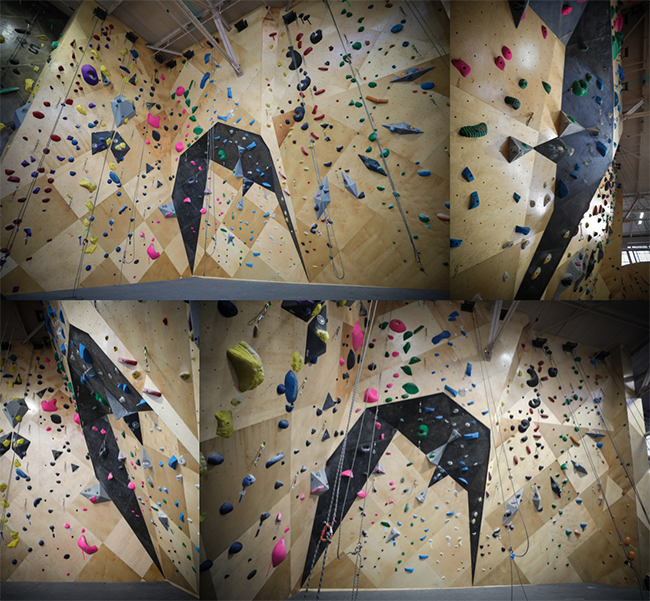 To learn more about Brooklyn Boulders’ multiple climbing facilities head over to their website. 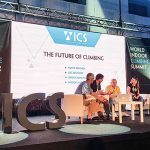 To learn more about Vertical Solutions products and services for climbing gym walls, floors or holds, visit their new website or email [email protected].